A high number of LGBT persons cite “home” as the most dangerous place for them. Reporting domestic violence in this scenario remains a challenge. In deeply homophobic Kosovo, one can imagine the amount of courage it takes to report domestic violence – or any crime – to the police as an LGBT person. This is why LGBT shelters for survivors of domestic violence must be an option, as well as speedy processing of such cases by the judiciary, which tends to act too slowly to deliver justice. The officer’s statement, “We are ALBANIANS,” is code for “we are PATRIARCHAL and want to keep it that way,” and is an argument I’ve heard more than once to dismiss calls within Kosovo for greater gender equality. The excuse of “culture” is the same one repeated to explain why women and girls are sexually harassed, chronically underemployed, underrepresented politically and objectified constantly. Proponents of family values preach respect for mothers, but expect those same mothers to simply endure abuse within their homes in silence – giving abusers a free pass to become repeat offenders and normalizing violence for generations to come. 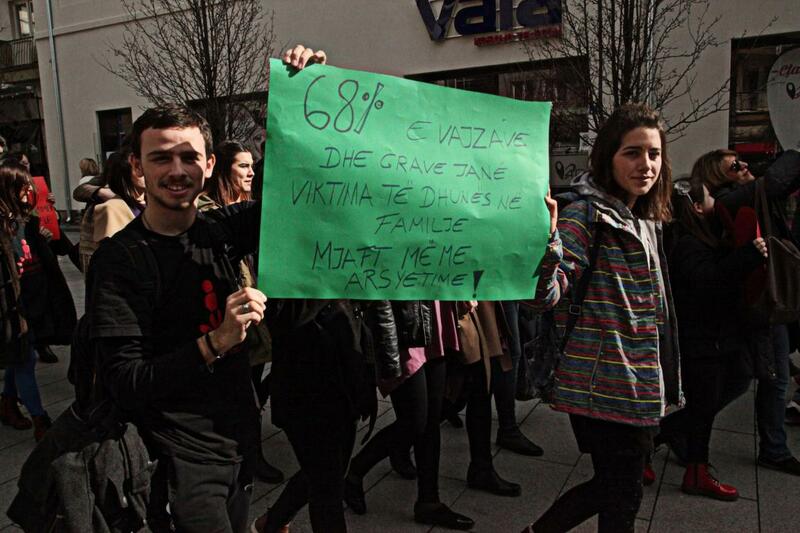 Some parts of our culture are toxic, and they need to change to allow both men and women to live freely in Kosovo. The report was presented to the governmental working group responsible for drafting the new National Strategy and Action Plan against Domestic Violence, which is expected to be launched sometime this year. The governmental review of the previous national strategy is clear: prosecutors fail to raise indictments in domestic violence cases, and judges try – against all reason – to not separate abusers from their victims. It’s high time for a system to be put in place that forces officials to actually do their job and stand up for Kosovo’s women.